Lego has shown off five new sets coming in April 2019 to celebrate the 20th anniversary of the first Star Wars releases in 1999. The sets cover both the Original and Prequel Trilogy eras with updates to classic sets like Anakin’s podracer and Boba Fett’s Slave I. Each set will also include a yellow faced tribute figure with a display stand. 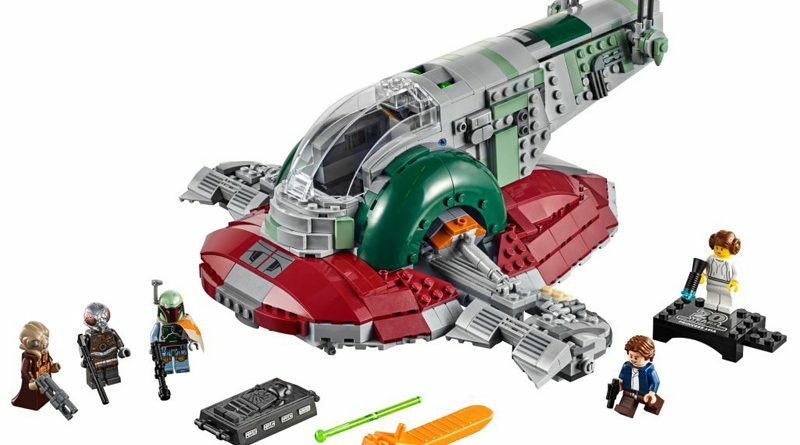 The Slave I set, which includes Boba Fett and a Han Solo in carbonite, also has the first ever minifigure of Zuckuss so fans will be able to complete their Empire Strikes Back bounty hunter sets. The list of sets is below and additional photos can be seen on The Brothers Brick website. ← Exclusive Kingdom Hearts Action Figures Now at Walgreens!